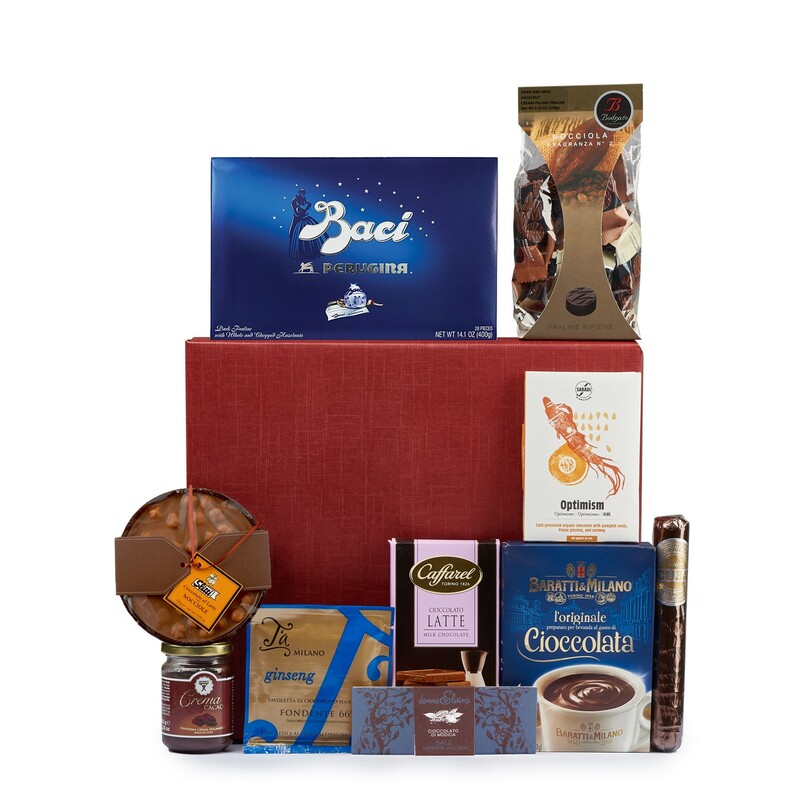 From smooth spread to seed-studded bars to drinkable chocolate, our collection of artisanal cioccolati italiani spans a symphony of flavors and textures. Each rich treat offers a unique taste of cacao transformed by traditional Italian chocolatiers with the highest quality ingredients. Share this gift box with the chocolate lover in your life (who may even be you!). Babbi's Chocolate Spread (5.3 oz), Baratti & Milano's Hot Chocolate Mix (3.17 oz), Bodrato's Dark Chocolate with Hazelnuts (5.3 oz), Caffarel's Milk Chocolate Bar (3.53 oz), Donna Elvira's Modica Salted Chocolate (2.47 oz), Perugina's Dark Chocolate Baci Box (14.1 oz), Sabadì's Pumpkin Seed Chocolate Bar (1.7 oz), Slitti's Milk Hazelnut Tortina (2.8 oz), T’a Milano's Dark Chocolate Ginseng Bar (1.7 oz) and Venchi's Aromatic Chocolate Cigar (3.5 oz).